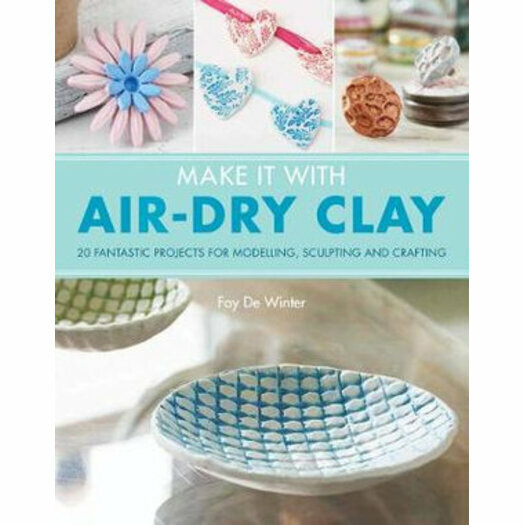 Delve into the world of air-dry clay crafting with 20 beautiful, easy-to-make projects that are suitable for all skill levels. Air-dry clay looks, feels, and performs like traditional clay but requires no oven bake or fire. So you can create professional-looking ceramics in your own kitchen without the need for a kiln. Each project comes with step-by-step photos and detailed, easy-to-follow instructions. The book also includes instructions for all the core techniques, plus traceable templates. In no time you can create beautiful homewares and jewellery that will be sure to impress.